Ponca City is celebrating its 125th birthday this week in many special ways. 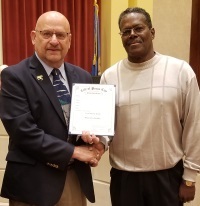 Monday night, Mayor Homer Nicholson presented a proclamation declaring September the month to celebrate Ponca City’s history, the city’s 125th birthday and its position as a Preserve America City. The proclamation was presented to Lee Matts, a member of the Historic Preservation Advisory Panel, during the City Commission meeting. In return, Matts gave a brief presentation on Ponca City’s history as well as the past year’s work by the Historic Preservation panel. This year the panel presented four properties to be added to the National Register of Historic Places. Working with a consultant, the panel selected the properties deemed to have the greatest historic value to the community and presented those the State Historic Preservation Office in Oklahoma City. Once presented there, they were approved and sent to the Keeper of the Registrar in the National Parks Service in Washington, D.C. All four properties were approved for inclusion on the National Register. The properties included the James J. McGraw House at 400 North Fourth Street. Ponca City Grants Administrator Rhonda Scrapke accepted the national certificate for this property. Second was the 101 Ranch Arena at 2600 North Ash Street. The certification was accepted by Mayor Homer Nicholson. The third property accepted on the registry was Roosevelt School at 815 East Highland Avenue. The certificate was accepted by Bret Smith with Ponca City Public Schools. And the fourth property was Attucks Community Center, 1001 South Twelfth Street. Diane Anderson accepted the certificate for this property. The reasons why each property was selected are available by contacting Kasey B. Flanery at [email protected] The documents submitted to have the properties listed include details about the part each played in the city’s history. Ponca City Main Street will host a street party at the Veterans Plaza at Fourth Street and Grand Avenue starting at 5 p.m. Friday to celebrate the city’s birthday. 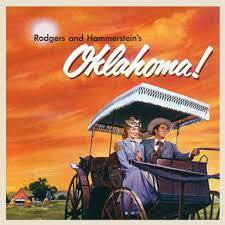 There will be live music, food trucks, and a showing of the movie “Oklahoma!” to celebrate this landmark.